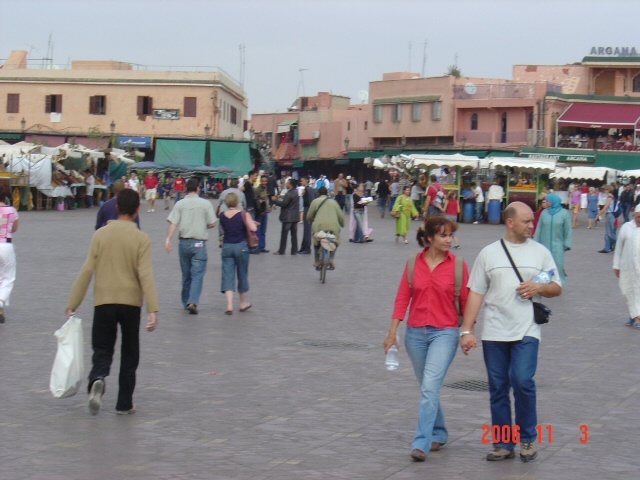 I had always dreamed to traveling to Morocco and was thrilled when we got the chance. 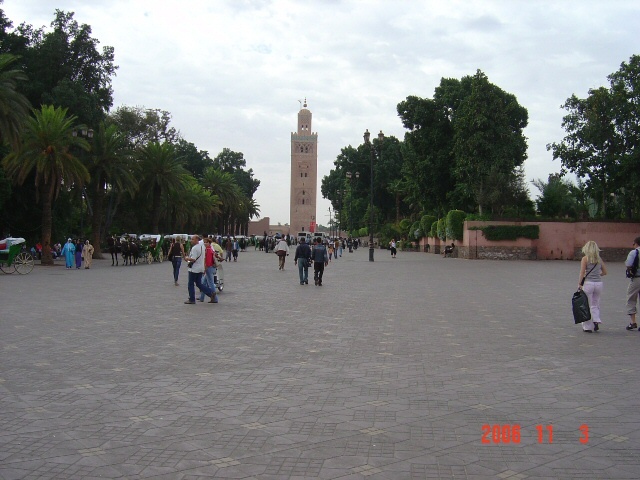 Our last few days were spent in Marrakech and I couldn’t wait to stroll the famous Jemaa el-Fna Square. 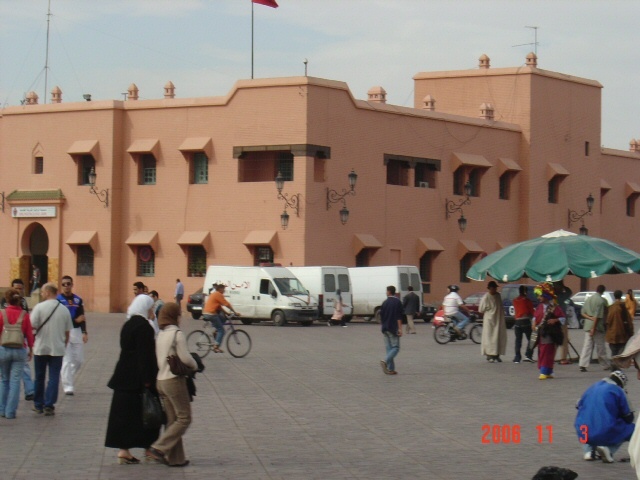 This expansive square is bustling with cafes, fresh orange juice vendors, snake charmers and spice merchants, just to name a few. 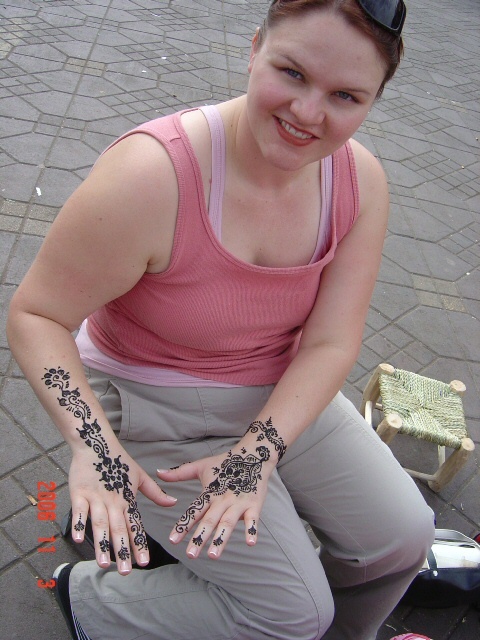 I figured this would be the place to knock off one of the items on my must-do list in Morocco, which was to get henna artwork on my hands. I found this lovely young lady who was a henna artist, complete with her booklet of designs to choose from and small stool for me to sit on. 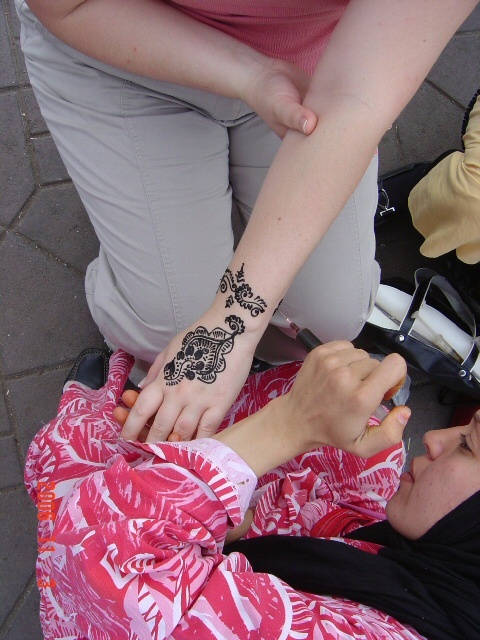 In the middle of this amazing square, in about five minutes flat, she created ornate, ethnic, floral designs on both my hands. Amazing skill in such a quick amount of time and with such a unique medium. It was wonderful to have this local artist’s work on my hands to take home with me, as a reminder of her creativity and my journey through Morocco. Art and creativity come in a multitude of forms throughout the world. When traveling, I try to support local artists, whether they be musicians, painters, weavers or henna artists and I encourage you to do the same. It’s a fantastic place, isn’t it?! 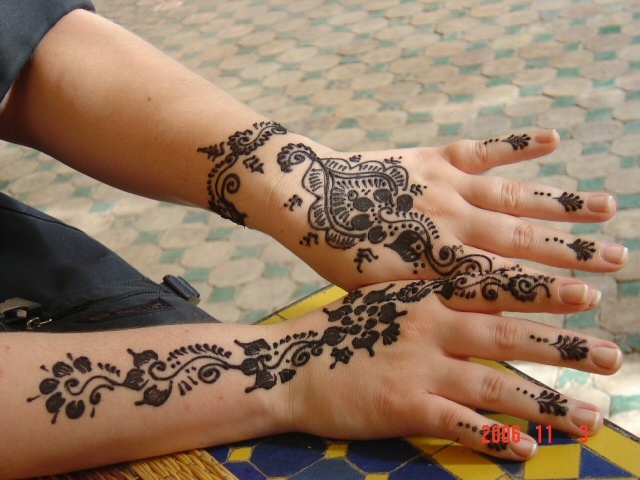 I love Morocco. We took a private driving tour throughout the country and it was splendid. Beautiful scenery, warm people and amazing shopping!